On November 13, EPA announced the Cleaner Trucks Initiative (CTI), a future rulemaking to update standards for nitrogen oxide (NOx) emissions from highway heavy-duty trucks and engines. The Agency says this action follows petitions for a rulemaking on NOx emissions from over 20 organizations including state and local air agencies from across the country. While NOx emissions in the U.S. have dropped by more than 40 percent in the last decade, EPA expects that heavy-duty trucks will be responsible for one-third of NOx emissions from transportation in 2025. 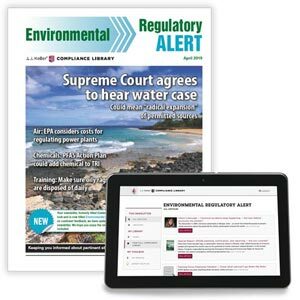 EPA says updating the standards will result in NOx reductions from mobile sources and could be an important way for areas across the U.S. to meet National Ambient Air Quality Standards for ozone and particulate matter.